PCAN-Explorer is a universal tool for monitoring data traffic on a CAN network. For easy and clear allocation of the individual messages, these can be identified as so-called symbols. The integrated VBScript support allows the creation of macros to automate complex tasks. The integrated data logger means that the data traffic of a bus can be recorded, analyzed, and stored. 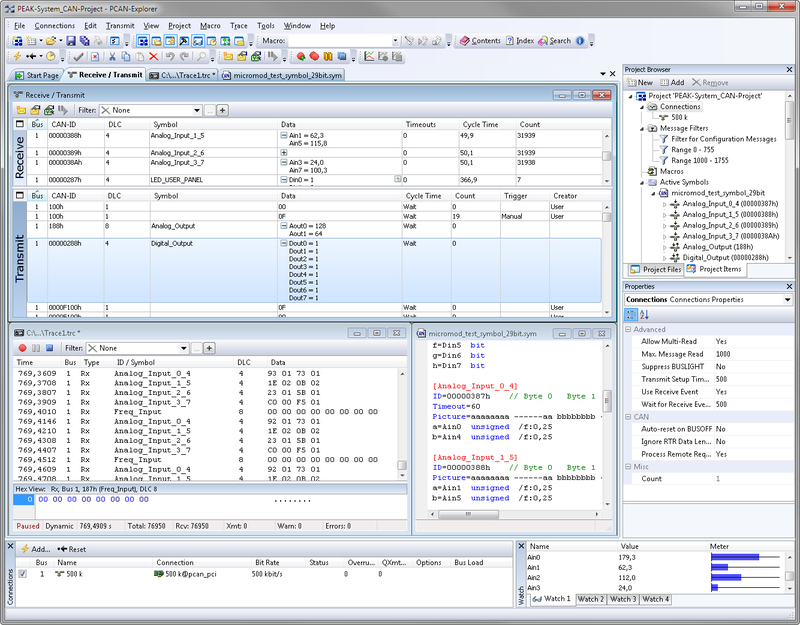 PCAN-Explorer is designed as automation server and can therefore be remote controlled through scripts. 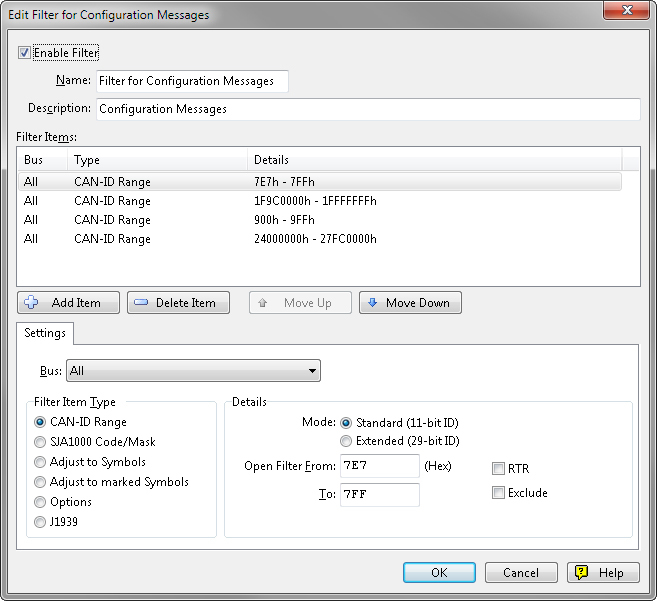 All parameters of all elements in the user interface can be examined using a Property Window and edited if necessary. Bit-exact division of the data into variables for assigning name, data type, list of values, scaling, Offset etc.